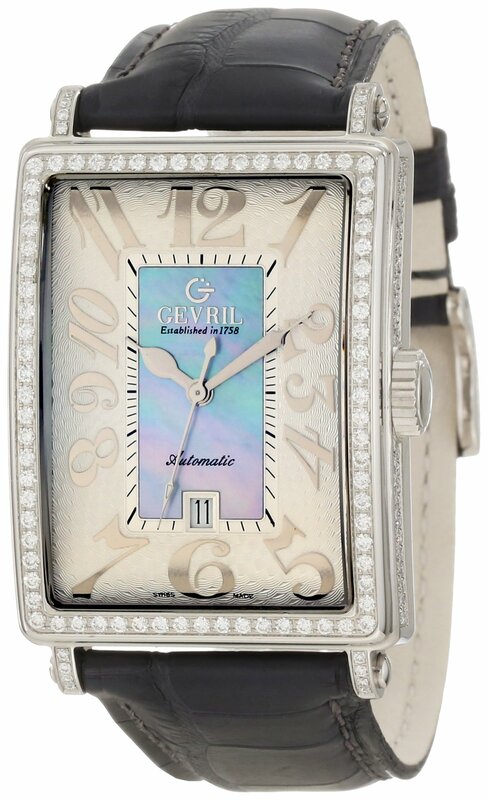 Creating a synergy of technical innovation and striking beauty, this diamond-accented women’s automatic timepiece (model 6207NV) from Gevril Avenue of the Americas Glamour blends a bold watch face with feminine details. The bezel is fully framed by gorgeous white Top Wesselton diamonds–which also extend to the lugs–created by precise CNC machines and set onto the watch by diamond setters of unparalleled skill. The watch also offers a bevy of small artistic flourishes including a uniquely patterned guilloche dial and a highly stylized Arabic numeral display that may be raised off the surface of the dial. A silver dial frames a centerpiece of blue mother-of-pearl, and additionally it is a three-handed movement and date window above 6 o’clock. It’s completed by a supple crocodile leather strap in blue with tonal stitching accents. Other features include a 25-jeweled automatic movement with a 40-hour power reserve, curved sapphire crystal for excellent scratch resistance, and water resistance to 50 meters (165 feet)–suitable for swimming but not for diving. An automatic (or self-winding) watch is fitted with a device (rotor) that mechanically winds the spring by the usage of the force of gravity. 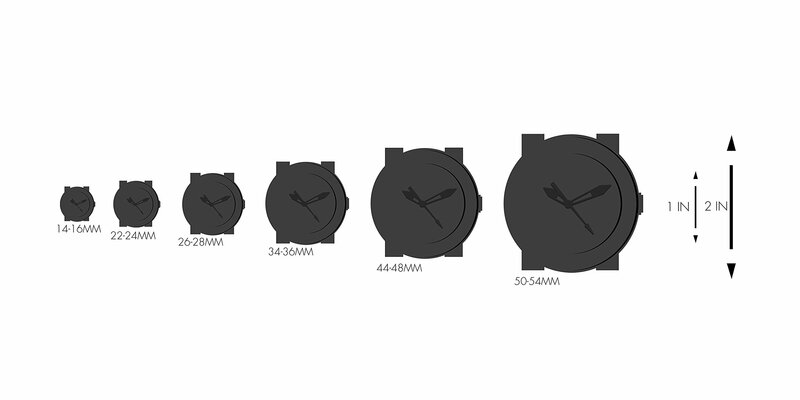 It needs no battery, but it’s going to stop when you have been physically inactive for an extended time frame–so long as you’re moving, the watch will stay powered. Swiss watchmaker Abraham-Louis Perrelet invented the self-winding mechanism in 1770. It worked on the same principle as a brand new pedometer, and was once designed to wind as the owner walked.